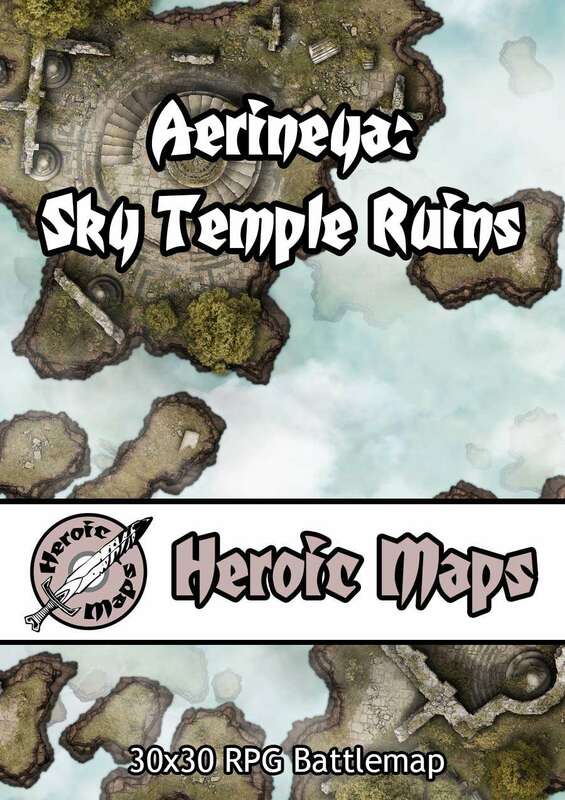 Heroic Maps have released Aerineya: Sky Temple Ruins for your fantasy RPG Tabletop. The Realm of Aerineya was not always so lofty. Elevated to such heights following a great cataclysm, the place is seldom visited, except by those that are able, and willing, to risk such dangers. The ruins of the Sky Temple are an important site, and may even hold the clue to the tragedy that befell Aerineya. Aerineya: Sky Temple Ruins is a printable battle map compatible with any RPG/Dungeon-Crawl game. 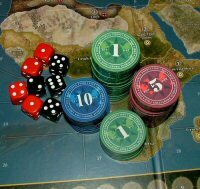 Use as a standalone game board, or combine with any same-scale tileset. A 30 x 30 map depicting the overgrown ruins of a Sky Temple, on a cluster of floating islands high in the sky. A distant land and clouds provide a dangerous backdrop to these islands, which still have the crumbling ruins of a once grand temple. Perfect for visiting if you have an airship, or can fly. Otherwise, not so perfect..